Disclosure: Thank you to Nissan for providing this unforgettable compensated experience! Girl squeal, I had the chance to go on a 24 hour mini vacation (aka: DayCation) along with a group of car bloggers courtesy of Nissan. During my fun day-cation I met up with Lisa Carpenter of Grandma's Briefs. Isn't that the best blog name EVER? Grandma's Briefs is Lisa's take on the good, bad, humorous and heartwarming of being a baby boomer, grandparent, parent to adult children, wife and writer. Lisa wrote an amazeballs overview of our day including a great overview of the 2017 Nissan Rogue SL AWD PT – check it out! When it comes to brands hosting interesting, exciting, and informative events to introduce bloggers and media folks of varied sorts to their goods, automakers tend to be among the best of the best. 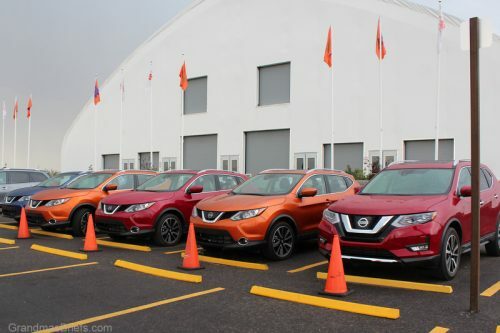 Nissan recently significantly raised the bar on outstanding activities that encourage movers and shakers to plug and promote a product with a wild adventure in honor of the 2017 Nissan Rogue Sport. And I was delighted to participate in the program. Nissan, in partnership with Rocky Mountain Redline, invited members of the media to an overnight escape to experience the Rogue Sport, with wild being the theme from beginning to end. A wild west flavor marked the start as Platte River Fort — a replica of historic Bent's Fort — hosted the event. The expansive site began in 2001 as a private residence (for a woman who wanted a home just like Bent's Fort… and her husband gave her just that). The property was sold in 2013 and converted into a unique rustic-yet-luxurious event center that opened its doors to the public for weddings, conferences, retreats, and family outings in 2015. A wild animal attraction closed out the day with a private tour of the breathtaking rescue animals and their expansive accommodations at The Wild Animal Sanctuary. The 720-acre non-profit facility — the world's largest carnivore sanctuary — provides a forever home with wide open spaces for 450 or so lions, tigers, and bears, plus fox, emus and more. 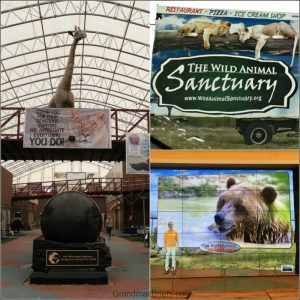 Wild animals that have been rescued from illegal and/or inappropriate, cruel, inhumane exhibits and such around the world (including illegal owners in the United States). 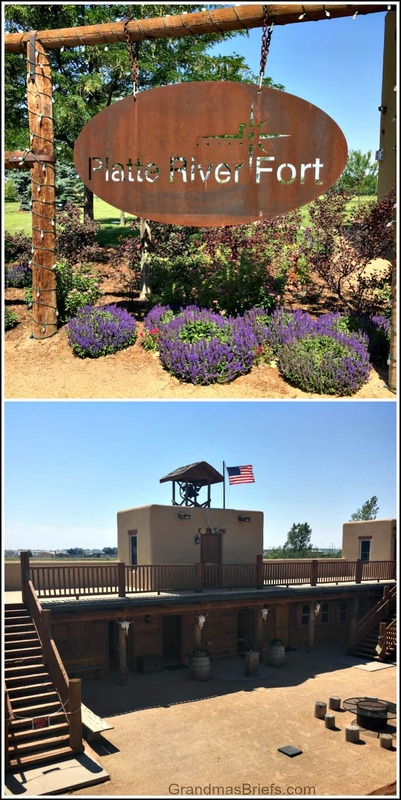 I'll soon feature Platte River Fort and The Wild Animal Sanctuary (with lots of photos!) in separate articles here on Grandma's Briefs. It's the wild agenda between those two, though, that was the primary purpose of the Nissan event — going wild in a test drive of a sleek, stylish, sporty Nissan Rogue Sport! And that's what I focus on today. 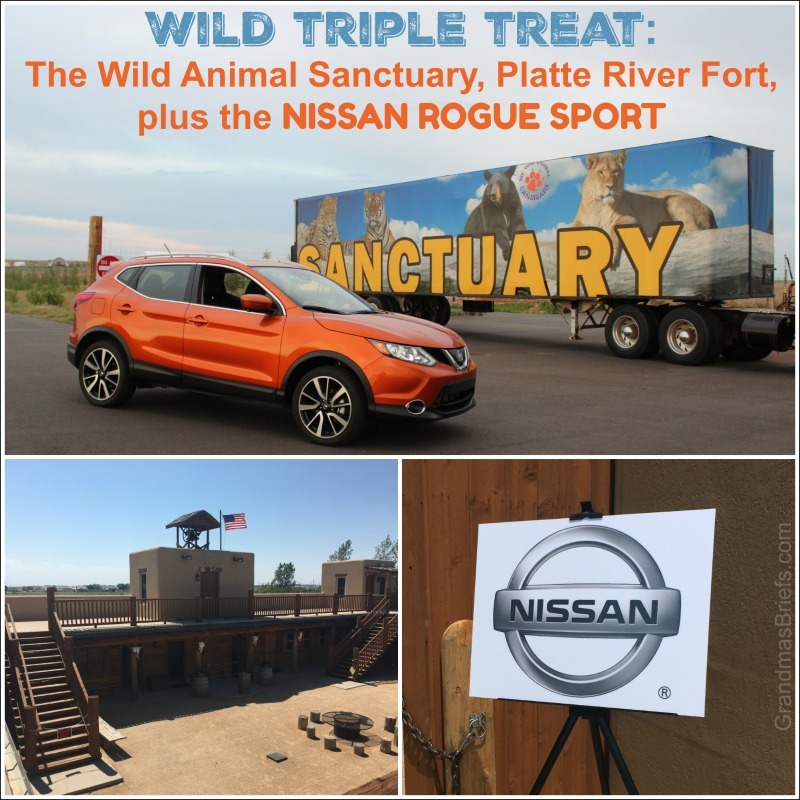 After a personal tour and tantalizing Tex-Mex lunch at Platte River Fort — including the best lemon bars I've ever tasted for dessert — Nissan reps gave a brief presentation on the fabulous features of the Nissan Rogue Sport as well as a walkaround. Then we were to partner up, choose a Rogue Sport, then hit the road and go wild experiencing all the auto offers. My ride partner, exuberant auto enthusiast Mia of MiaOnTheGo.com, and I nabbed a beautiful Monarch Orange 2017 Nissan Rogue SL AWD PT. We snapped a few shots then hopped in. I took the first turn at the wheel and adjusted my seat and mirrors as Mia programmed our first destination into the NissanConnectSM with navigation system (7″ color touch-screen display) as well as a few favorite SiriusXM channels for the ride. I hit the keyless start and off we went. Destination: about 40 minutes north to the Benson Sculpture Garden in Loveland, Colo. 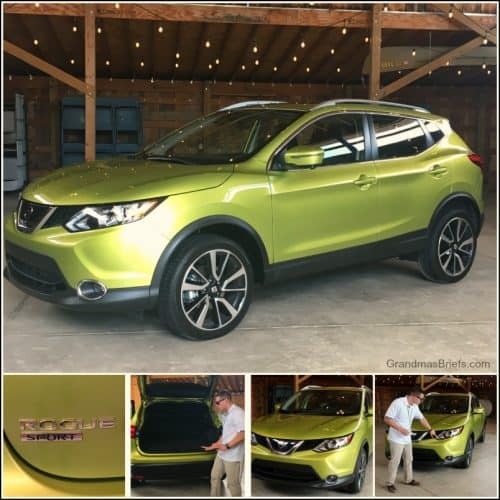 The get up and go of the four-cylinder Nissan Rogue (141 hp and 147 lb-ft of torque) was hearty, the ride smooth and steady, the braking firm yet far from touchy and jerky. As I drove north on the state highway, I appreciated the lane departure warnings as well as the clear view, front, back and sides, with minimal blind spots. After a quick wander through the sculpture garden — how could we not? 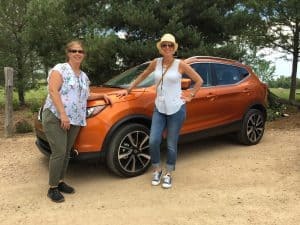 — Mia and I hit the road again, with a good hour or so remaining to trek the back roads (and some big roads) of northeastern Colorado before arriving at The Wild Animal Sanctuary at the appointed time. As Mia drove, I fiddled with various features, some fun, some functional, as she tested this and that related to wipers and more from the driver's seat. Soon our drive time was up, and we took our place in line outside The Wild Animal Sanctuary with our fellow Rogue adventurers. Now, when it comes to automobiles there's a lot of technical specs and such to point out. But my primary concerns are safety and comfort. 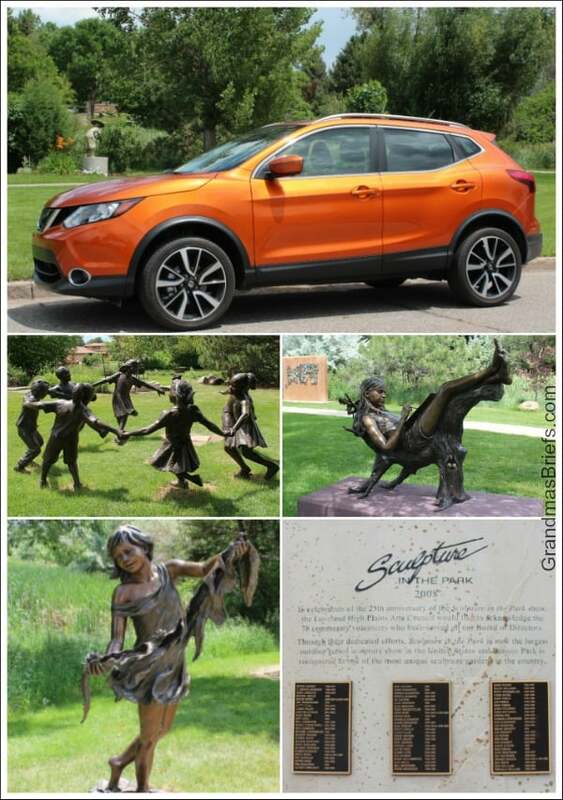 The Nissan Rogue Sport amply exceeded my expectations (and requirements) on both counts. Plus some. Learn more about the 2017 Nissan Rogue Sport at Nissan.com. And be sure to follow the hashtag #RogueSport on social media for thoughts from others who've experienced the Rogue ride. 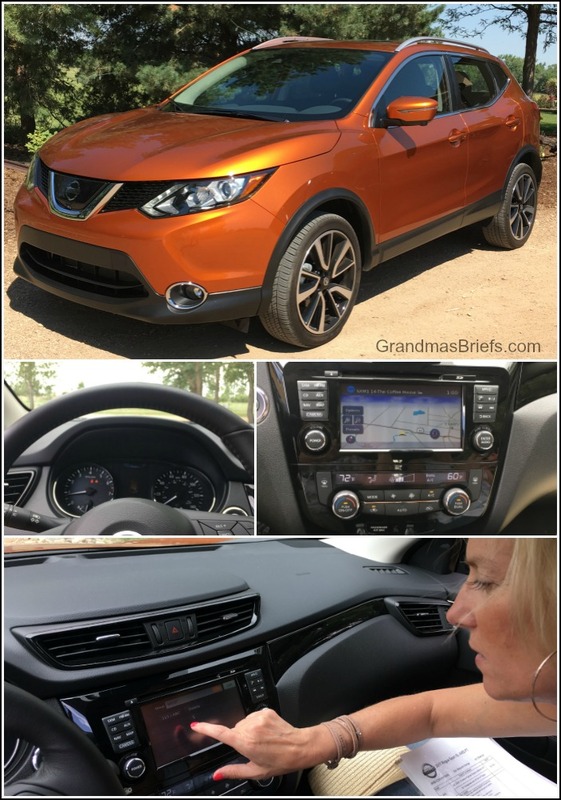 Big shout of thanks again to Lisa Carpenter of GrandmasBriefs.com for the guest blog and to Nissan for our wonderful day! Thank you for the kind words and guest spot, Mia! What a wild day we had. Fun, fun, fun… thanks to Nissan! I look forward to possibly sharing another adventure with you in the future! Cheers! So fun to be co-pilots together! Yes, more adventures please! xo. This day-cation looks AMAZING! What an adventure. I love the perks of blogging and it looks like you had a few that day. Those cars are gorgeous, fun colors! Yes, daycations need to be a thing, for sure. 😀 I love trying out new products & adventures. And yes, the car colors were super fun – well done, Nissan, I say! What a lovely experience! I'm definitely down for the Wild Animal Sanctuary, love to visit places like that! 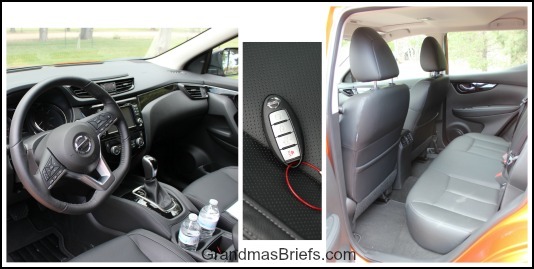 I agree the name is great – Grandma Briefs! I love seeing people of all ages doing the blogging thing. Sometimes I feel out of place with all the young millennials out there! Yes, the Wild Animal Sanctuary is truly a wonderful place to behold – great to see a safe place for exotic animals. And YES, I feel the same – as a 52 year old, it's great to see representation from all ages! Wow! What a good looking car! I look forward to being in one and checking out all of the features myself. The Bluetooth ability is life! I remember always having a Nissan when I was a youth. I think that was my parents favorite car. They always seemed to purchase them and I have a lot of fond memories in them. That's great that these cars are still great and have so many different amenities and features in them. I'm in the market for a new SUV and will definitely take a look at Nissan. Thanks for sharing your experience and listing the comfort as well as safety features. Reliability and safety is a must! Yay, you should definitely test drive this one – great for family, running errands but also sporty looking too. And I”m with ya… safety and reliability – it's not just for grandparents, right?! I like the green Nissan, is such a nice and refreshing nuance, I don't think I've seen many cars with this particular color. And looks very comfortable too. I really liked the color too – definitely stands out! Nissan's are definitely comfortable but perform well too! A Week in Jamaica! Nova Scotia – It’s as dreamy as you’ve heard.